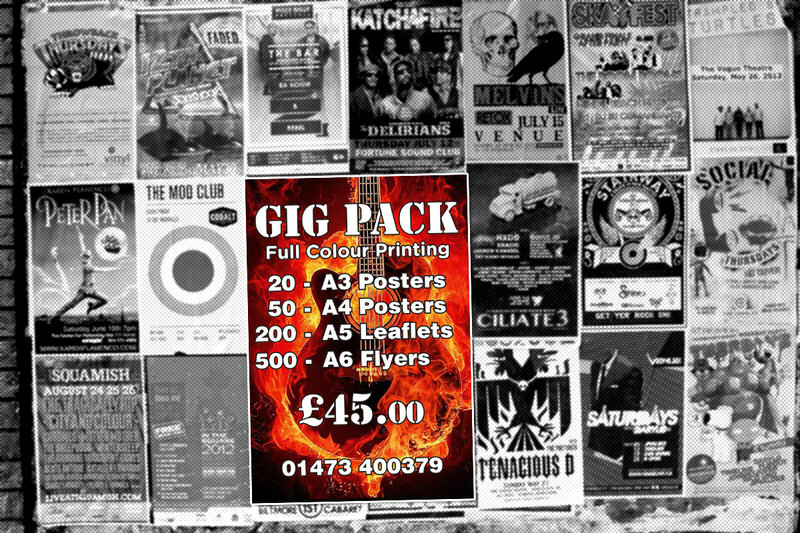 Get your gig noticed – yep, you can post as much as you want on social media but you cannot beat a good old fashioned posted or flyer! And although we call it a Gig Pack it could just as easily be used for your shop opening, summer fete or craft fair – anything you want to tell the world about! Talk to our printing partner, ColourPlan print on 01473 400 379 for further details.